A rejuvenating herb that nourishes the tissues and gently removes natural toxins. It has been used for the treatment of damaged or falling hair and graying hair, as well as for insomnia, headaches and sinus infections. May help HIV and AIDS patients. Bamboo silica extracted from the shoot are useful for hair growth, healthy joints, and skin. It is considered a calming herb and has been used for fever, convulsions, epilepsy, stroke and for coma. 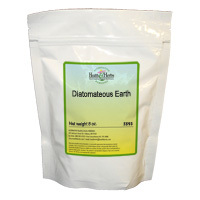 This formula is high in silica and other minerals to nourish bones, teeth and brittle fingernails. Contains: Oat Straw, Shavegrass/Horsetail, Mullein, Burdock root, Slippery Elm bark and Lobelia. Beneficial for easing depression and help with ADHD and Alzheimer's disease. An adrenal tonic and gland balancer. Suppresses inflammation and helps ease arthritis and rheumatism. Relieves menstrual and menopausal problems. Restores vitality from illness. A restorative nerve tonic, for dealing with depression and energy deficiency. Beneficial for high cholesterol levels, and for heart health. High in calcium, useful for strong bones, nails, and hair. Helpful in supporting a healthy hormonal system. Olive, included in a Mediterranean diet, could prevent age-related bone loss and memory loss, helpful for Alzheimer's and Parkinson's patients. It may also stimulate the thyroid to help shed pounds, as well as lower cholesterol and improve heart health. Wood Betony has been used to help relieve headaches and migraines. It is relaxing to the heart and nervous system and has been beneficial for neuralgia. Also useful for treating hangovers, hysteria, panic attacks, hyperactivity, convulsions and anxiety.